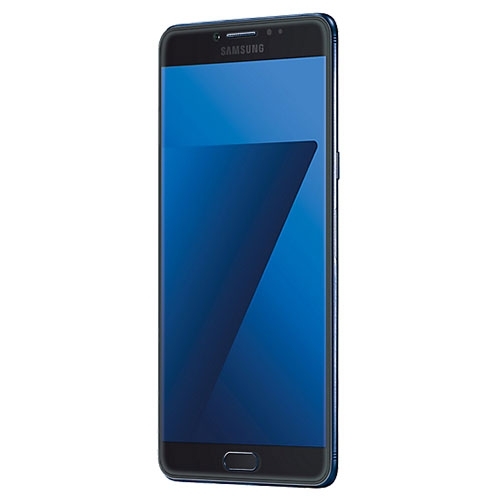 The Samsung Galaxy C7 Pro is probably the best alternative to the OnePlus 3T. Read more for the full review. Samsung has managed to keep a strong position in the Indian smartphone market. This is despite the fact that numerous Chinese players have made a comfortable position in India and are doing well themselves. Thanks to a strong offline presence and strong brand recognition, the Korean giant seems to be fearless. It has been launching some really good mid-range smartphones under the ‘A’ and ‘C’ series. I got to test out the Galaxy C7 Pro which seems like an attempt to take on the sub Rs 30,000 champion, the OnePlus 3T. Here is what I think about the smartphone. Samsung has gradually moved on with the times (plastic) and we have seen some really well made handsets lately. 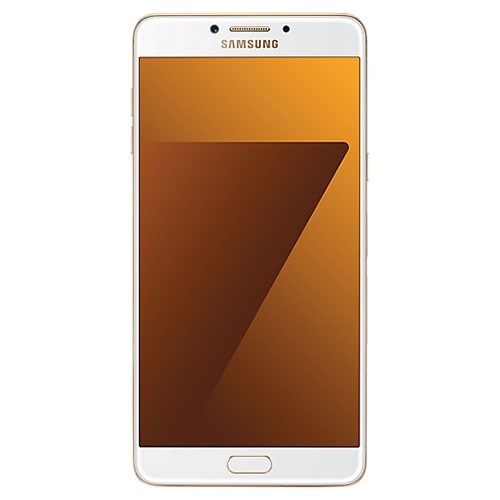 The C7 Pro comes with a metal finish with rounded corners and edges. It is quite sleek too, with a thickness of just 7 mm it is one of the slimmest smartphones in its class. The front is all glass, which is curved on the edges, and underneath is the 5.7-inch display. You get the traditional Samsung hardware home button with capacitive backlit ones on either sides. The home button also embeds the fingerprint scanner. Above the display is the earpiece, front camera and the light sensor. Moving to the back, as I mentioned earlier, the main casing is metal, which has a nice, soft finish. The back however, is a bit slippery, even though it has a matte finish. The antenna bands running across the top and bottom of the back have an interesting triple-line design. The primary camera offers a slight bump with a dual-LED flash. On the bottom edge is the USB Type-C port, the headphone jack, loudspeaker and the microphone. The volume buttons are on the left edge and the power button is on the right edge, along with the SIM card tray. The handset is really good looking and very well built. The only issue I faced was that the handset kept slipping out of my hand. And I think smartphones having displays larger than 5.2-inches should offer a good grip because they are anyway difficult to maneuver. Samsung has tried to pit the Galaxy C7 Pro against the OnePlus 3T, but the features fall a bit short. The smartphone runs on a Qualcomm Snapdragon 625, which features an octa-core processor clocked at 2.2 GHz and an Adreno 506 GPU. This is paired with 4 GB of RAM. The internal storage is fixed at 64 GB, but this is expandable by up to 256 GB via a microSD card that can be placed in the second SIM slot. The display is a 5.7-inch Super AMOLED panel offering a 1920x1080 pixel resolution, this equals to a pixel density of 386 ppi. Both the front and and back cameras have a 16 MP resolution and f/1.9 aperture. The rear camera comes with a dual-LED flash as well and can record 1080p videos. As for connectivity, the C7 Pro comes with 4G LTE, dual-SIM, Wi-Fi, GPS/A-GPS/GLONASS, FM Radio, Bluetooth 4.2, NFC and USB Type-C. The battery unit is 3,300 mAh with fast charge support. 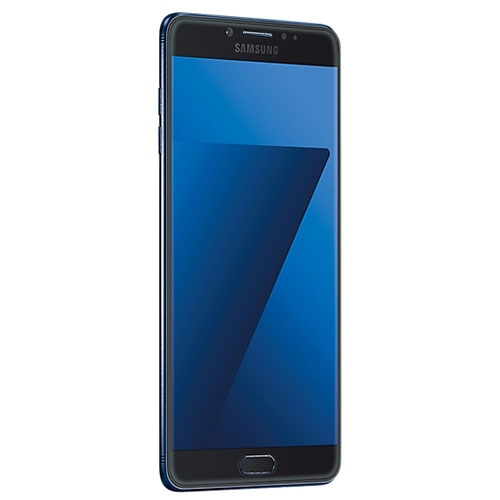 Samsung utilises its own Super AMOLED panels on its handsets in the mid-range, and the Galaxy C7 Pro gets one too. Measuring at 5.7-inches, the display to body ratio is about 74 percent, which isn’t that bad. The curved glass on the top gives it a nice feel and the touch response is spot on. 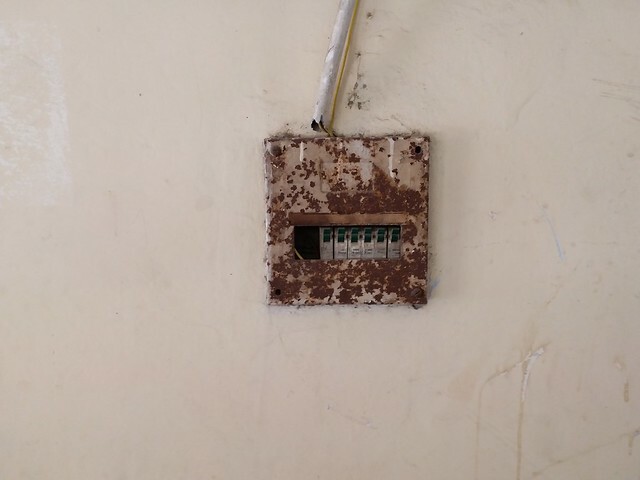 As for the quality, it is an excellent panel. Samsung’s AMOLED panels have always proven to be one of the best in the business. I compared the display on the Galaxy C7 Pro with the OnePlus 3T and found the brightness and the overall colour punch better on the former. You also get Samsung’s Always On display feature, which is usually seen on high-end flagships. You can keep a clock, calendar, some graphics and so on, in this space. You also get quick notifications on the standby screen. There is a blue light filter which can be enabled in the night to reduce strain on the eyes. The software on Samsung devices has been known to be sluggish but the company has taken this into serious consideration. It has improved on its UI in the recent past and has made it fluid and much more responsive. The UI is based on Android 6.0.1 Marshmallow and feels a lot like what was seen on the Galaxy S7. Apart from the host of Samsung apps, the smartphone comes built-in with Microsoft office apps. There is also the special Game Launcher app which runs at the background when you are playing a game and also organizes your games in one place. I think Samsung is finally moving to a good and responsive UI. It offers security features like locking apps and folders and an option to encrypt your data when on Wi-Fi. A nice feature to have is the USB backup app that quickly backs up data onto a flash drive. Of course, you need a USB Type-C OTG cable for that or a USB Type-C based flash drive. Overall, I found the UI to be really smooth. Apps open quickly and multitasking is also handled well. Both the notification shade and the settings menu have a white finish with blue highlights on the quick setting toggles and colored icons inside the settings menu. It's a really good improvement, the software experience is almost as good as stock Android. Using the OnePlus 3T for the past few months, I was a bit spoiled by the performance. Surprisingly, the C7 Pro didn't feel like big step down. Now it doesn't offer high-end specifications as the 'flagship killer' that is the OnePlus 3T of course. Running on a Qualcomm Snapdragon 625 SoC, the processor has eight Cortex-A53 cores clocked at 2.2 GHz. There is 4 GB of RAM as well. Gaming is handled well. While I don't play a lot of games, I have been hooked on to the new Injustice 2 smartphone game that was launched recently. I didn't notice any lag as such, but I did notice slow load-times, but that was probably the game's fault. I also tried out Asphalt 8 and Mortal Kombat X, both of which worked really well. It does warm up a bit after extensive gaming but manages thermals well. As for benchmarks, it is way behind the OnePlus 3T. But compared to other handsets in this segment, it has some really healthy numbers. On AnTuTu, the C7 Pro scored 65,059 and on 3D Mark's Ice Storm Extreme, I got a score of 8,200. As for day to day performance experience, the smartphone is fast and responsive. It can play 4K videos without any issues and multitasking is a breeze. Connectivity performance on the device is great. Wi-Fi and cellular networks including 4G data and VoLTE calling work without any issues. Audio performance through the earpiece and the headphone jack is on spot, and the loudspeaker is loud but just about average in terms of quality. Both the cameras on the C7 Pro seem to be identical as they offer 16 MP resolution with an f/1.9 aperture. Of course the rear unit also gets autofocus and a dual-tone LED flash. The rear camera also offers HDR, panorama, face detection and so on. The camera app is easy to use and responsive. It isn't the fastest one around, but it gets the job done quick. Shutter speeds and focusing is fast, but it could use some improvement. Picture quality is not very consistent, and I blame the software. A few pictures that I took indoors came out bad with really low detail and plenty of noise. Shooting under the sun produced some really good images, however especially when shooting macro. Then I saw some inconsistency in the contrast and sharpness as well. HDR works well, mostly, and you can see the difference in the two landscape pictures in the gallery above. Selfies are pretty decent and like most smartphones today, you can use filters and settings to smoothen out your face and skin. There is a 3,300 mAh non-removable battery unit on the C7 Pro. I was quite satisfied with the battery backup as it lasts all day without any issues. This included a mix of gaming, sending mails, texting and a bit of video streaming. Apart from the benchmark test, I ran a video on the device after fully charging it and got about 16 hours of video playback time. Thanks to the high-power charger, you can charge the smartphone from 0 to 100 in about an hour and a half. 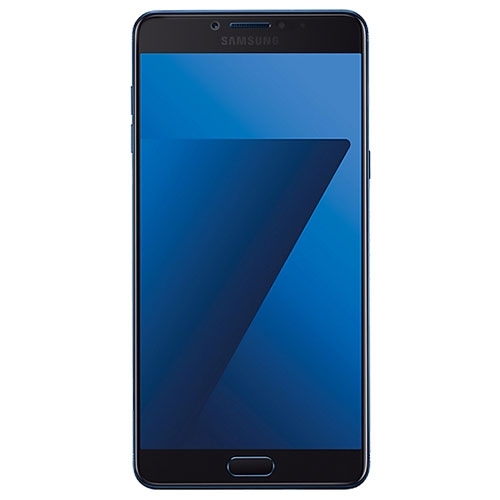 The Galaxy C7 Pro is a really solid offering from Samsung. 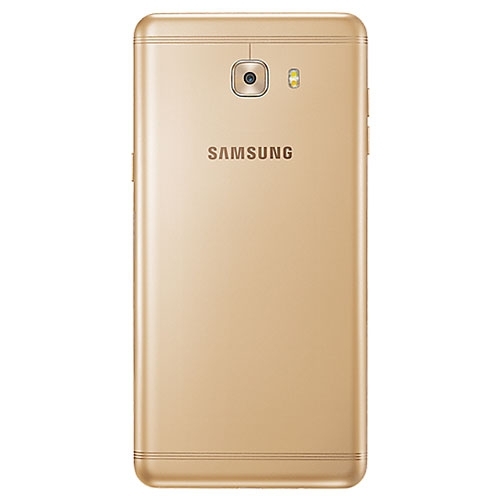 While there is the Galaxy A7 in the same price bracket, this one seems like a sweet alternative. I was really impressed with the design and the display, and while the performance is really good, it falls just short of the OnePlus 3/3T. I had high hopes with the cameras, but somehow, Samsung hasn't polished them well, probably a software update would fix it. Priced around the Rs 26,000 mark, this one is a really good option to go for if you are a Samsung loyalist or don't want to invest in a OnePlus device. If you have a budget of Rs 30,000 and are looking for the best value, then just skip this one and get a OnePlus 3T. There are other options from Oppo and Vivo as well, but in my opinion this one is probably the second best smartphone in the sub-Rs 30,000 range. 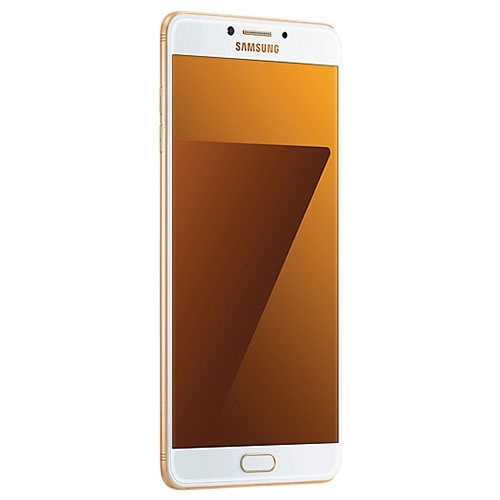 The Samsung Galaxy C7 Pro features a 5.7-inch FHD Super AMOLED display with a resolution of 1920 x 1080 pixels and is powered by a 2.2 GHz octa Core processor and has 4GB of RAM. It comes with 64GB of inbuilt storage, expandable upto 256GB and has a 16.0-megapixel rear camera and 16.0-megapixel front camera. It comes with Android 6.0 Marshmallow OS and support a 3300mAh battery capacity with 3G & 4G.